International architecture and construction event BAU 2017 will be held in Munich from January 16 to January 21. The event with more than 2,000 exhibitors from 42 countries will present innovations and current trends, organizers said at a presentation in the Serbian capital Belgrade. During the event, numerous forums and exhibitions will be held, and the main topics will be living and building 2020, smart buildings, intelligent façades and digital design, construction and management. BAU is also a platform for premieres, as the industry coordinates the development and presentation of its new products and solutions specifically in line with the cycle of this event, said Julia Wenzel, exhibition manager. She added the fair will bring together all relevant stakeholders of the construction industry from around the world – investors, designers, and architects. 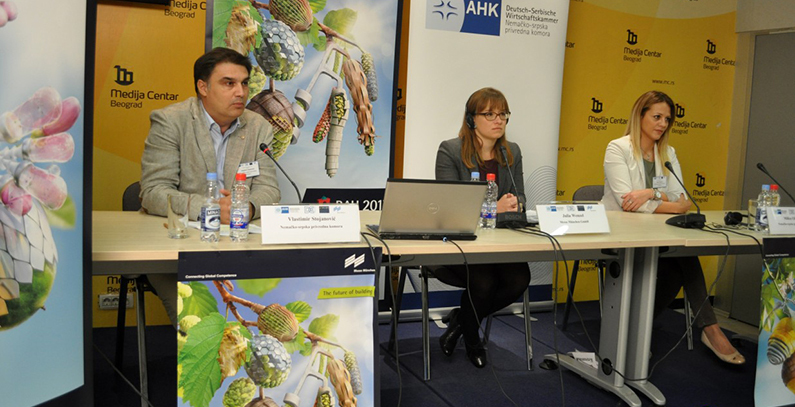 The German-Serbian Chamber of Commerce (AHK) enables businesses from Serbia to present themselves on all major international fairs in Germany. “We hope that the interest of companies from Serbia for such events will increase,” said its representative Vlastimir Stojanović.